In May 2000 I met my first Boxer and show dog, who just happened to own my future husband, Glenn. In no time at all I was hooked. I soon realized that this photo is a perfect representation of the Boxer. In late 2001, I purchased my first Boxer. He was a gangly 11 week old brindle puppy that stole my heart. He is now Am/Can CH. Jazz N Falcors Riptide. Glenn owned and showed Boxers for many years prior to our meeting. 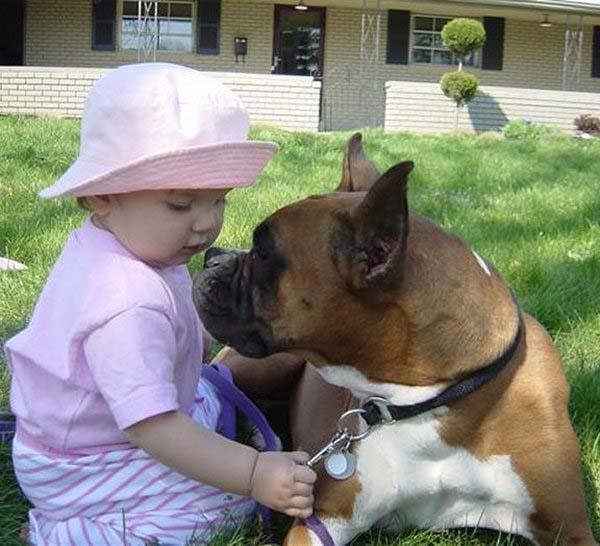 We have continued showing and breeding our boxers for the past twelve years, paying particular attention to the Boxer Standard, health, temperament, and the happiness of our dogs. Along the way we have met many wonderful Boxer people, several who have guided and shared their knowledge of these amazing dogs. To them we would like to offer our thanks and appreciation.